Any time you produce an original work, it is copyrighted from the moment you reduce it to a tangible medium, with no need for formal registration. A movie, for example, is copyrighted the moment it is filmed, and the film make may sue anyone who infringes on that copyright. Although copies of your work need not include the copyright symbol or other notice of copyright, notification helps deter infringement and prevents the infringer from arguing that his act was unintentional. Lesser damages may apply in cases of unintentional infringement. With or without notification, you may formally register your work with the U.S. Copyright Office. Although registration is not required in order to trigger copyright protection, it does confer a number of legal benefits. Registration helps to prove who actually authored the work and allows copyright holders to claim statutory damages of up to $150,000 per infringement without proving actual damages. Although U.S. copyright law includes a complex system of copyright expiration dates, works created in 1978 or later by individuals, as opposed to corporations, are protected for 70 years after the death of the author. Several international copyright conventions exist, including the Berne Convention for the Protection of Literary and Artistic Works and the Universal Copyright Convention. Almost all of the world's nations are members of at least one of these two conventions. Under these treaties, members agree to extend reciprocal recognition to works protected under another member nation's copyright laws. Three major exceptions exist to copyright law -- the fair use exception, the first sale exception and the work-for-hire exception. The fair use exception allows anyone to use a small portion of a copyrighted work for a socially beneficial purpose such as education or criticism. For example, a movie clip a few seconds long used in an educational video may be considered fair use depending on a number of factors present in specific cases. The legal boundaries of how much use of another's work that could be considered "fair" are blurry, and the fair use exception is narrowly applied. The first sale exception allows you to, for example, sell a second-hand DVD without having to pay royalties to the copyright holder -- the copyright holder is entitled to royalties only on the first sale of a particular copy. This exception doesn't apply to downloading movies from the Internet, because downloading requires the creation of an additional copy. The work-for-hire exception allows an author to contractually abandon his copyright in favor of his employer. Under this exception to the copyright laws, Hollywood movies are generally owned by studios rather than by screen writers or producers. Pirating occurs when someone makes and sells unauthorized copies of a copyrighted work. 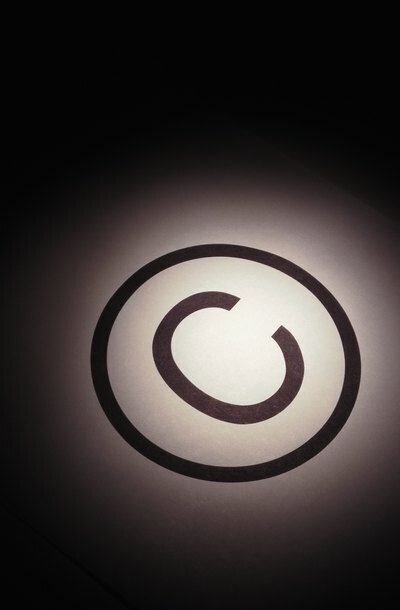 U.S. law provides several remedies for acts that constitute copyright piracy. These remedies include seizure of the illegal copies, injunctions against further production or distribution, civil fines and criminal penalties. The U.S. applies these laws extra-territorially, meaning that you can sue an infringer in a U.S. court for an act of piracy that occurred overseas. A copyright holder may, for example, sue a foreign company for pirating DVDs overseas and collect the amount of damages assessed from the infringer's U.S.-based assets. "Fan fiction" refers to works that integrate individual characters from copyrighted works into a new and otherwise original work. Fan fiction is considered infringement because the law gives copyright holders a monopoly over adaptations of their work as well as the original work.